Fruit Zen is one of the newest games by Betsoft Gaming. As the name implies, the game offers players a relaxing and a calming experience where they can tap into their inner zen and find inner peace. The name also implies that the game is inspired by one of the most classic themed of slot machines, which is fruits. This is why the game is entitled Fruit Zen. The game managed to create this relaxing experience in order to help player find inner peace through the visuals as well as the sounds of the game. Starting with the visuals, the game’s reels are located in a calm place beside a rock with the moving water of the ocean in the background, because nothing is more relaxing than the calm and moving waves of the ocean. As for the sound track, it is also relaxing and would help players enjoy this calming experience. 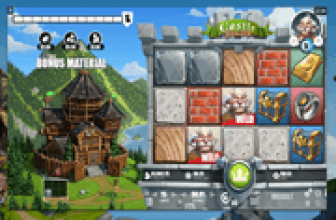 The game has a total of five reels and offers players a total of ten paylines that they can place their stakes on. 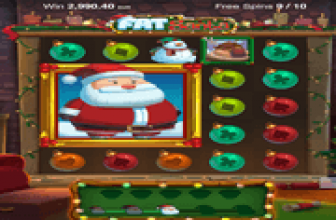 Although the game has 10 paylines only, it can be pretty rewarding as there are many fruit symbols that land on these reels that can give players amazing payouts. Players will be able to view all of these payouts by opening the payouts page of the game which can be opened as they click on the View Pays button that is found at the top right side. As for placing the bets, they are done under the reels where players will see the multiple betting options that the game has. 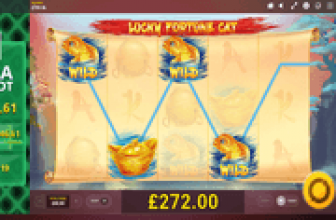 These options include the number of win lines players want to activate, the bet per line and the coin value. They can also click on the Bet Max button that would automatically place the biggest bet and spin the reels of the game at the same time. This feature is very helpful to the high rollers who just want to place the biggest bet and enjoy the ride without having to click on the betting option every time they want to spin the reels. The game has plenty of rewarding payouts, and it also has a special symbol. This special symbol is none other than the logo of the game, Fruit Zen. This logo of the game is not a regular symbol that will pay players as a line payout, as it is an expanding wild symbol. This means that whenever this symbol appears on any of the three middle reels, the whole reel will turn wild. Not only that as after players earn any payouts as a result of these new wilds, a re-spin will be triggered. If players get more wilds on other reels, they will also turn wild and more re spins will be triggered.